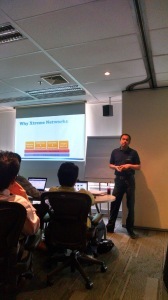 Cisco Systems organized a technical partner summit in Asia, focusing on Contact Center technologies. The first summit was held in Bangkok, Thailand, followed by another forum in Jakarta, Indonesia. Xtreme Networks-in gratitude to Cisco Systems- got the very rare opportunity to participate in these Partner Summits and to network with many partners in one roof. Capabilities of Xtreme Networks were presented within the summits and were shown where the company’s experts can add value in the respective technology. The Bangkok Partner Summit outlined a technical and a practical regimen for Cisco UCCX and UCCE, where as the Jakarta Partner Summit concentrated only on UCCE. 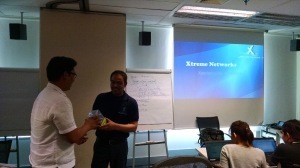 Abu Hadee of Xtreme Networks took part in both Summits as a Guest Speaker. The summits were a huge success, as it was attended by more than 40 participants in each session. These technical forums provided each and every participant to get a “hands-on” experience on the Contact Center Technologies, and it drew positive feedback from all partners. © 2018 Australia - Xtreme Networks. All Rights Reserved.